We facilitate economic growth, support our communities, and promote opportunities for prosperity in our area. We envision a thriving community of diverse businesses and cultural events with positive values and purpose. 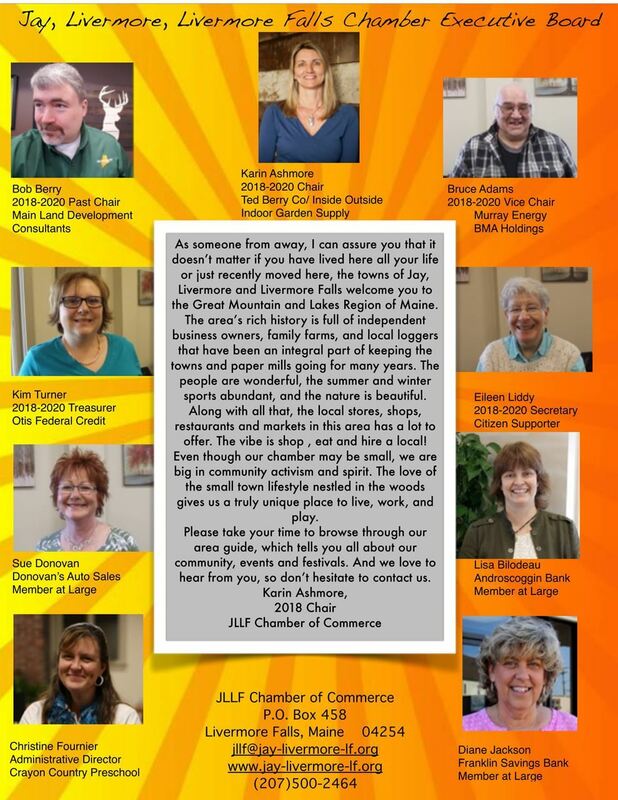 The Jay, Livermore, Livermore Falls Chamber of Commerce welcomes you to our beautiful rural Maine community. Our towns- Jay, Livermore and Livermore Falls, have all one needs: fine schools, nearby hospitals and medical centers, higher educational opportunities, innovative town governments, as well as police and fire protection. 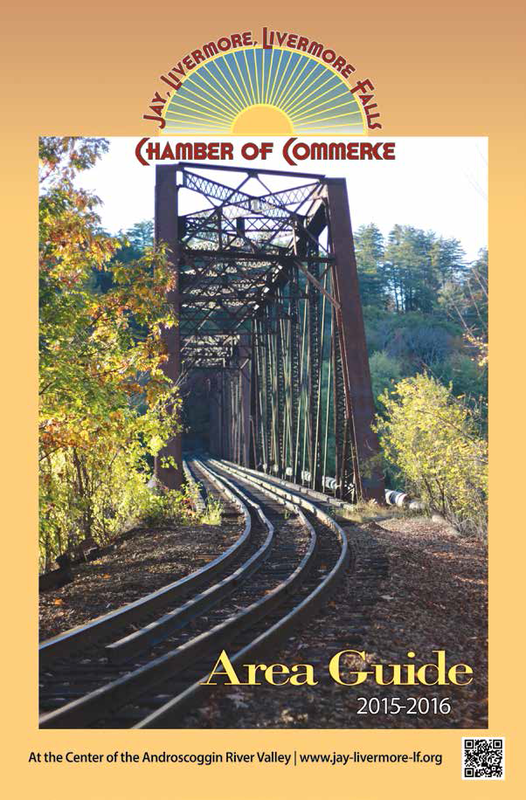 We also boast a civic spirit that encourages everything from high school sports to July 4th fireworks, harvest festivals, historical celebrations, farmers markets, as well as the nurturing of a growing business climate.Our Chamber continues to connect local businesses and the social interests of the community. We encourage and look toward to increased participation by the business community and individuals in the future. Robyn Raymond-workforce development options and business partnerships through Spruce Mtn Adult Ed.